Super C Cutting Compound uses advances in abrasive technology to increase speed and quality of paint finish for all automotive, industrial and marine applications. Q-cut compounds water based formula makes it the perfect compound for all industrial and marine applications. 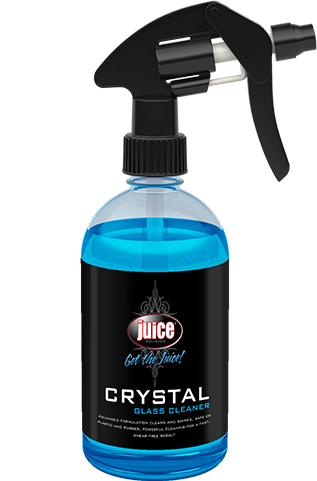 Swirl remover is designed to remove swirls from both fresh and cured paint surfaces. 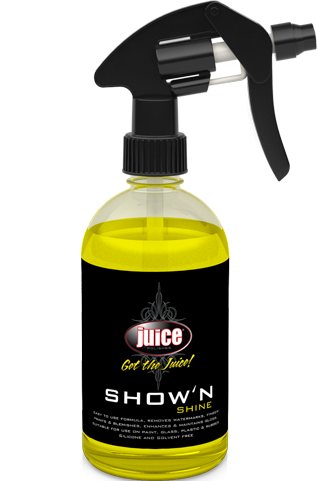 Swirl remover leaves a deep high gloss wet look finish without the use of fillers, waxes or silicones. Speed wax nano technology is a High gloss liquid polish that uses nano technology to provide extended wax protection and dirt repelling properties on all paint surfaces. 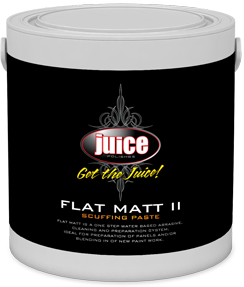 Juice triple action flat matt ii scuffing paste, abrades, cleans and degreases in one easy step. Flat matt ii enhances coating adhesion by creating a smooth even surface. For use on all refinish paint surfaces including water based hs, ms and oem finishes. 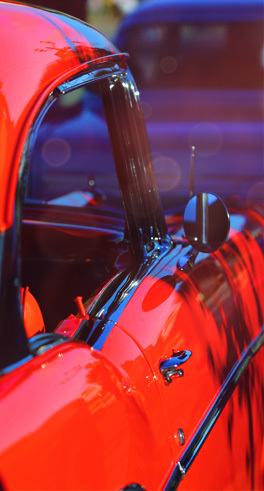 Rapid wash and wax has excellent deep cleaning properties perfect for one step detailing when required. We use nano technology when developing various products to provide extended wax protection and dirt repelling properties on paint surfaces. Our extensive product range has been developed and tested specifically for the harsh conditions of Australia and New Zealand. We stand by the quality of our products and strive for perfection. 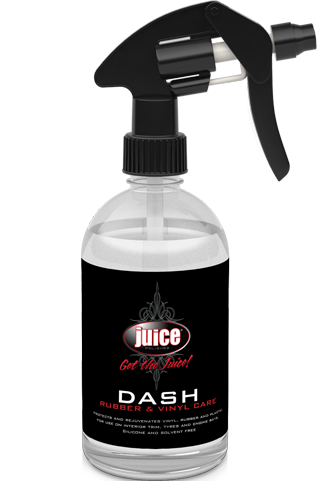 It is this drive which will ensure Juice will be a market leader well into the future.